Freescale and NXP combined last year. A result? Their newly released MCUXpresso IDE. See the latest features, ranging from more intuitive tools to debug probe discovery. There are many mergers going on in the industry, and one of the largest ones was in 2016 with the integration of Freescale Semiconductor with NXP Semiconductors, with both providing Eclipse-based IDEs to their customer base. 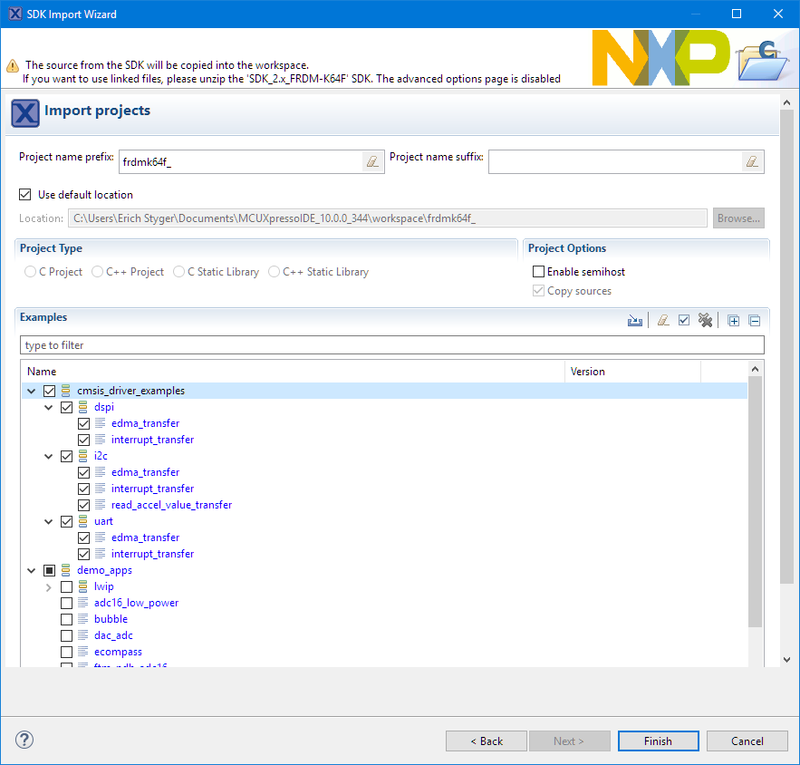 Consequently, the company merger triggered a merger of the IDEs, and last week, NXP released the result: the MCUXpresso IDE. 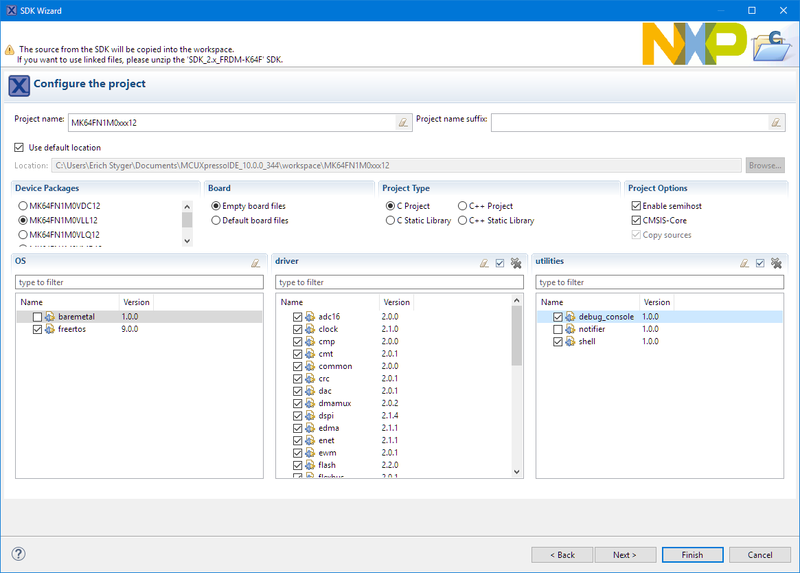 This article is part of a series to get up to speed using the new NXP MCUXpresso IDE. 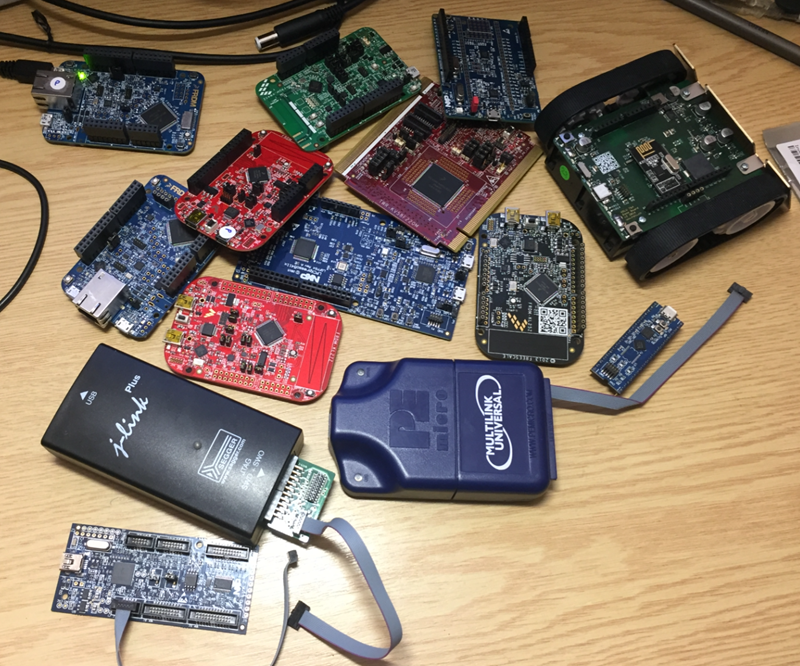 MCUXpresso is basically ‘LPCXpresso on steroids’ (see “Embedded World Nürnberg 2017 Impressions: MCUXpresso, Hexiwear, NTAG, LPC800-DIP and Alan Hawse”), supporting both NXP Kinetis and LPC devices (ARM Cortex-M0(+)/M4/M7), and it is built upon the feature set of LPCXpresso. From LPCXpresso, it inherits the Pro edition option (with IDE email support and extended trace features), and like Kinetis Design Studio, it is free of charge and unlimited in code size. For existing LPCXpresso IDE users it brings unlimited code size (the free LPCXpresso IDE has a code size limit of 256 KByte) beside of all the extra features like MCUXpresso SDK support. 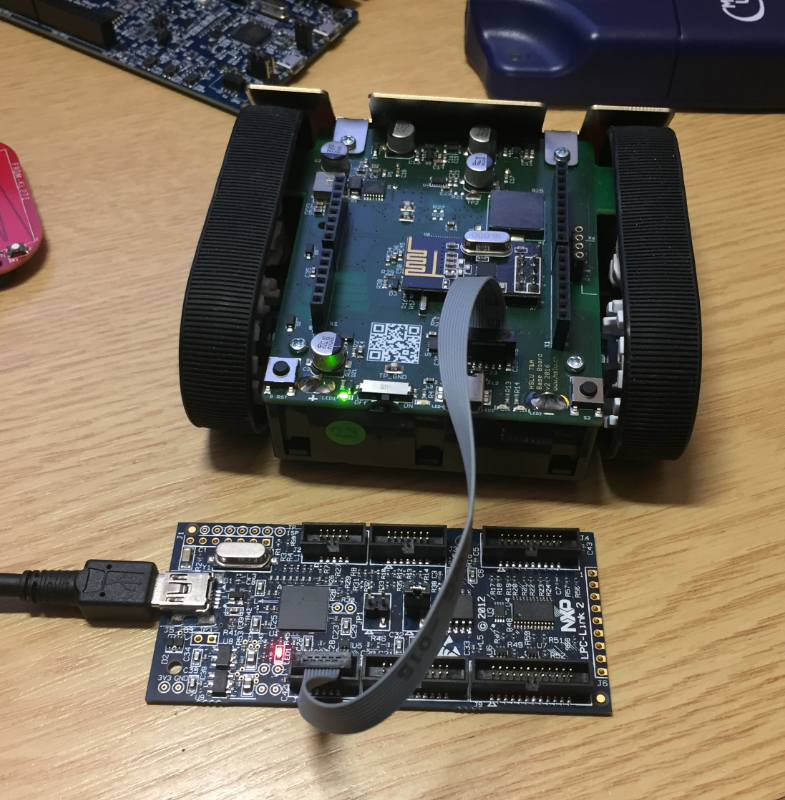 Traditionally, at the university, we are using a combination of CodeWarrior for MCU 10.x, Kinetis Design Studio v3.2, and LPCXpresso v8.2. 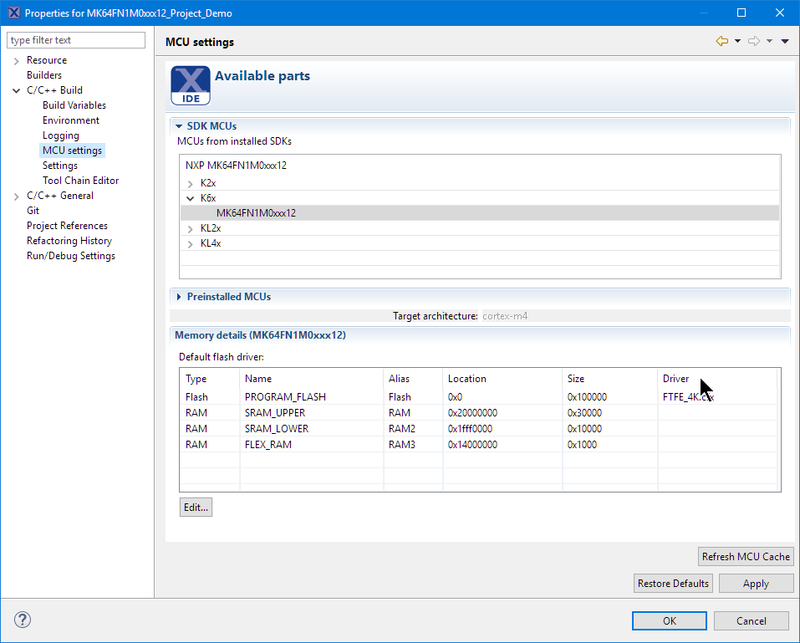 Because the new IDE both supports Kinetis and LPC devices, I plan to migrate the LPCXpresso and Kinetis Design Studio course material to the new MCUXpresso IDE. In this post, I give a brief overview about some of the main features that I think will be very useful. Other than that, I think the information below is useful for anyone upgrading either from LPCXpresso or Kinetis Design Studio to the new NXP Eclipse IDE. 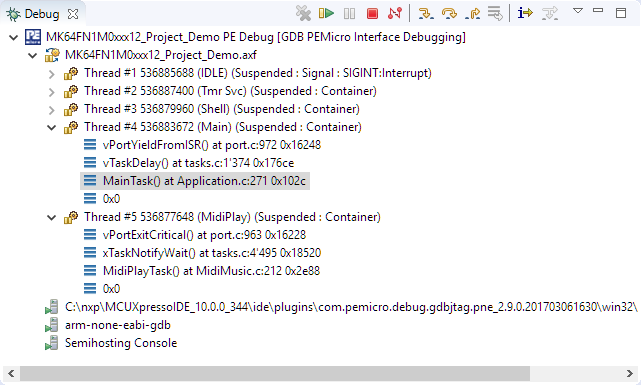 The IDE is available from http://www.nxp.com/mcuxpresso/ide. Downloading needs a user account at NXP, but no other registration or activation is needed for the free and code-size-unlimited version. Support for the free version is community-based (http://www.nxp.com/mcuxpresso/ide/forum) as for Kinetis Design Studio and LPCXpresso. There is a Pro version available. which adds one year IDE email-based support plus extended trace support (an existing LPCXpresso Pro license is recognized by the MCUXpresso IDE, too). I have used version 10.0.0 (Build 344). Compared to other IDEs, the download size is rather small (576 MByte on Windows), and it is available on Mac and Linux, too (I have it installed on Windows 7 and 10 so far). It installs all the debug probe drivers. 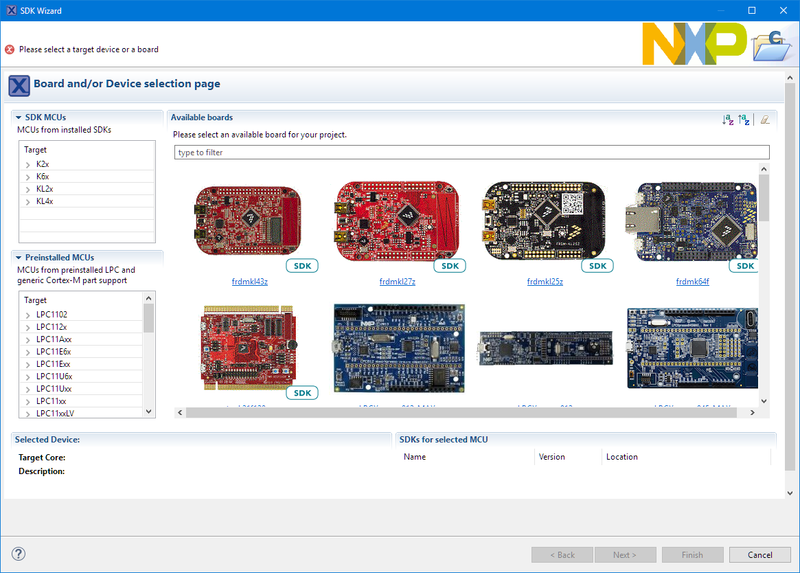 The documentation is accessible both from http://www.nxp.com/mcuxpresso/ide and from the installation folder of the IDE. I strongly recommend to use the Quickstart Panel, especially using the blue icon in there to start a debug session (more about this below). It includes a ‘blue’ debug button to launch a debug session, and that’s the recommended way to start the debugger. The ‘blue’ one is present in the toolbar too. 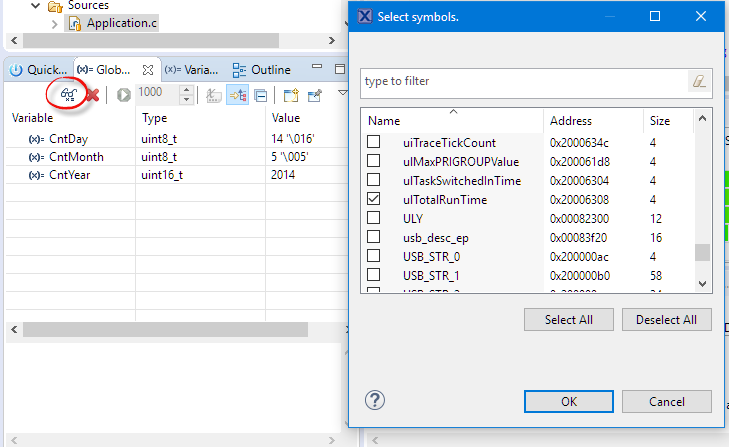 There is as well the default ‘green’ debug icon of Eclipse, but that one should only be used if you have a debug connection (launch configuration) configured, as the ‘blue’ one is able to automatically detect a debug probe and configure it automatically (more about this later). The IDE comes with legacy LPCOpen support for LPC devices. 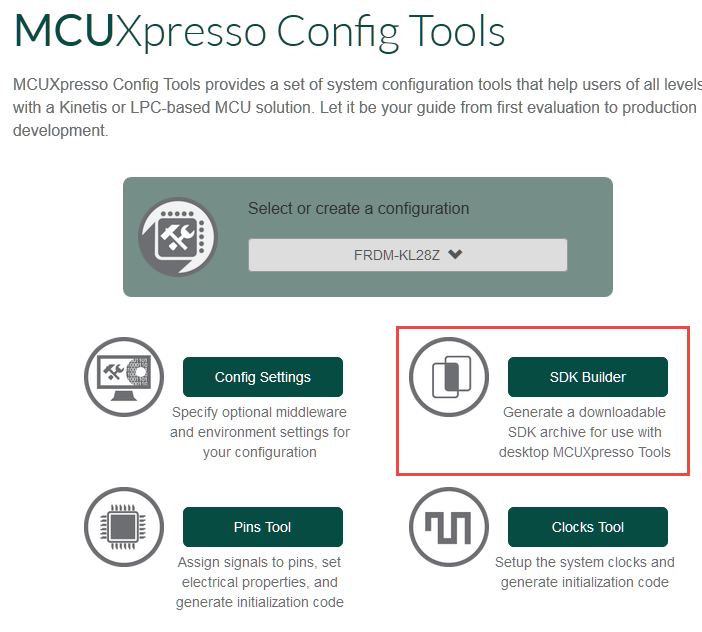 Everything else is data driven with the addition of the MCUXpresso (formerly Kinetis) SDK. 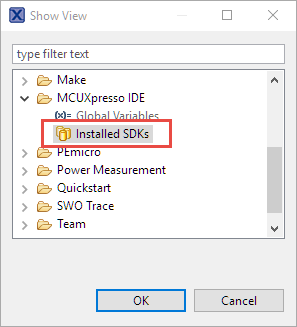 The SDK package not only includes the driver sources files, but also example projects and everything else the IDE needs to know about the device — for example, toolchain support and debugger information. By default, the SDK is used as a ZIP file. With this, the IDE extracts files from the ZIP and copies the files into the project. There is a workspace option to unzip the files to allow ‘linked files’ in the projects, but I do not recommend using such linked files in projects. For the classroom setup, I plan to download the SDK ZIP files and then pass it to the students so they can import the ZIP file(s). Using the previous SDK with the linked files was really hard (or even impossible?) to use, so I think students will very much like that new functionality. 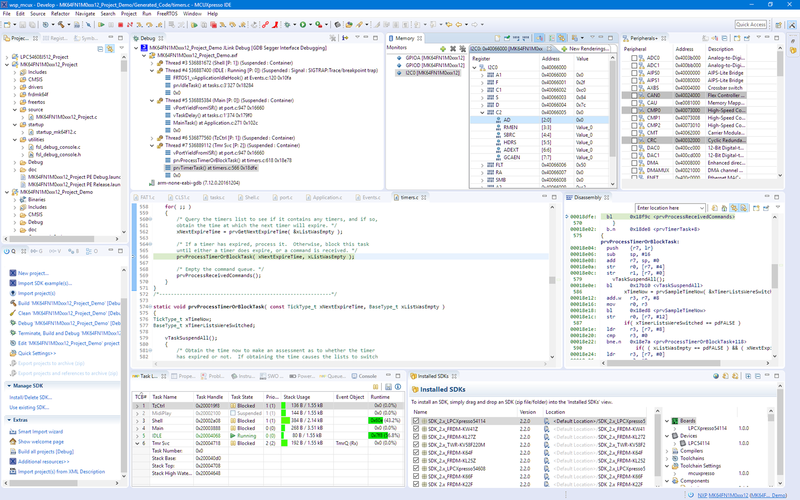 The MCUXpresso IDE uses the GNU Tools for ARM Embedded Processors version 5 (Q3 2016 release). The IDE is using the same project file format/build settings as LPCXpresso, so legacy LPC projects can be imported easily. 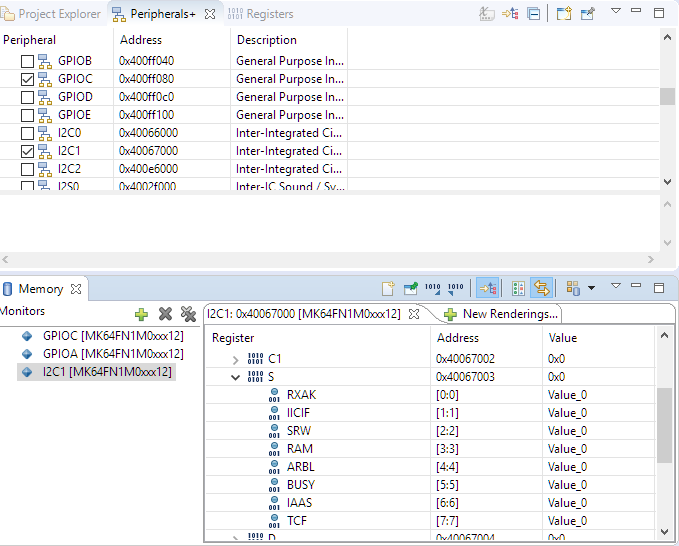 Existing Kinetis Design Studio projects can be used with a few migration/porting steps. 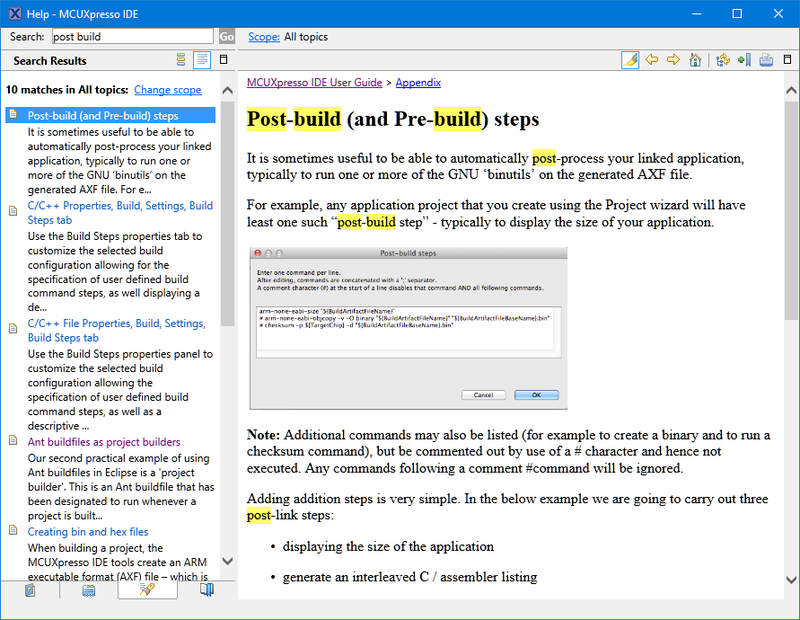 Kinetis Design Studio projects can be imported or migrated as the project format is different from the GNU ARM Eclipse one used in Kinetis Design Studio. 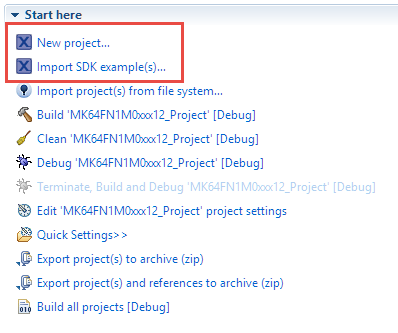 I have ported several university KDS projects to MCUXpresso, but this is the subject of a future article. I will probably disable the managed linker script feature. The GNU linker files are really not that hard to read/write/use, and hiding the linker scripts behind this generator makes the object allocation not very transparent. But for inexperienced users, that’s certainly a useful feature. So that would be a very affordable debug probe option, as the LPC-Link2 is priced at US$ 20. Using the green one only works properly if I have a project selected and a launch configuration available. 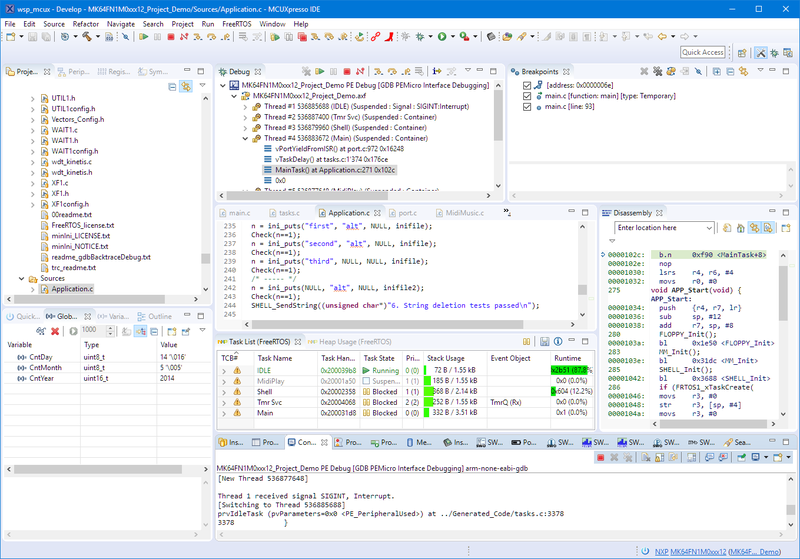 Kinetis Design Studio works with the green debug button very well because the behavior for the green button has been enhanced in that Eclipse distribution. 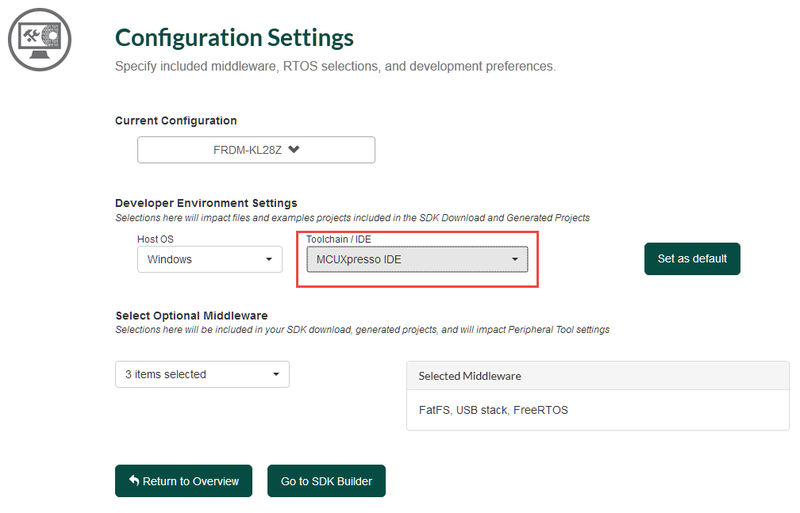 MCUXpresso uses the ‘stock Eclipse’ green debug button, which does not have that extension. In case I want to re-trigger a full probe discovery, I can delete the .launch files, and it will recreate them. Unlike in normal Eclipse, where I would switch between ‘C/C++’ and ‘Debug’ perspectives, I can stay in a ‘Develop’ perspective. Especially on small laptop displays, that unified perspective is a plus for the students, too. A mistake I made with the Peripherals+ view was trying to inspect a peripheral for which the clocks were not enabled. I only can inspect peripherals which are clocked and accessible! Until now, students had to load that plugin. Now it is included in the IDE installation. 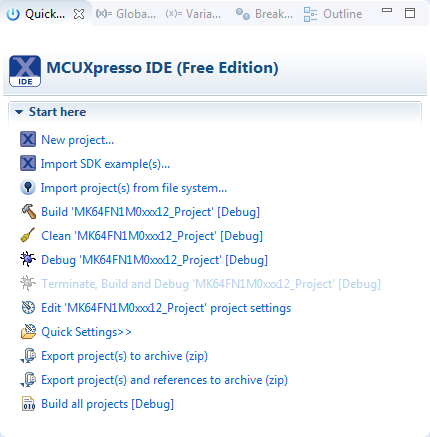 The MCUXpresso IDE combines the features of Kinetis Design Studio, plus LPCXpresso. For LPC users it has unlimited code size, Segger, and FreeRTOS support added. For Kinetis users, it adds CMSIS-DAP, trace support, automatic probe discovery, but there is no Processor Expert included. 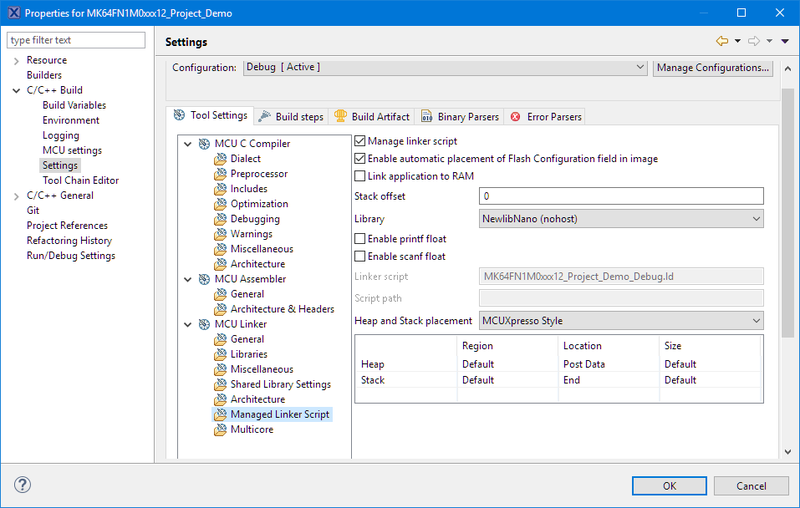 For Kinetis and LPC, it provides a unified and modern IDE and build system with a common SDK and nice project creation and added nice debugging features. I have not touched on many other aspects and features like multicore support, watch/live variables, extended registers view, or any of the (really cool!) 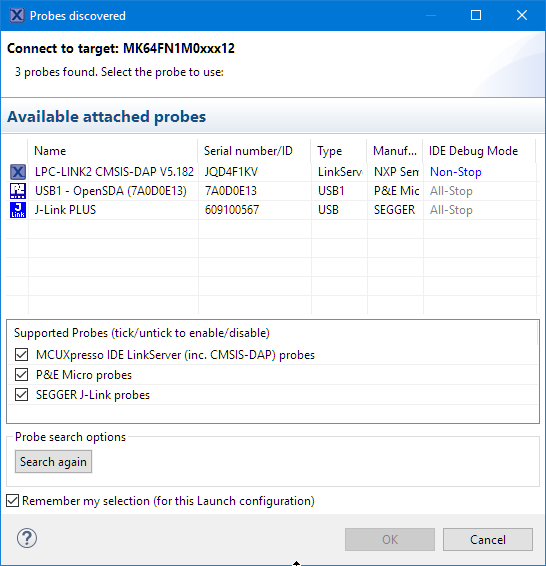 SWO/trace/profiling/printf features with the LPC-Link2 debug probe. So I think these things might deserve another article. I'm planning more articles about the MCUXpresso IDE in preparation for the next semester, and compared to LPCXpresso and Kinetis Design Studio, I can use the new IDE with less effort in the class, as most things come pre-installed and several features make it easier to use. I have explored areas like what other plugins I would add/install, or how to use or migrate existing Kinetis Design Studio projects and even how to use it with Processor Expert projects. And if you are interested in any particular topic, post a comment or thought and I try to get on it.